What do we mean when we say “restorative”? Restorative dentistry is a specialized dental field that is designed to significantly improve both major and minor conditions with your teeth and gums. Replacement of missing teeth, orthodontics, placement of bridges, crowns, and new fillings are all considered restorative treatments. Basic restorative services include typical dental procedures such as fillings and root canals. Most insurance providers cover this, but coverage can vary from policy to policy. 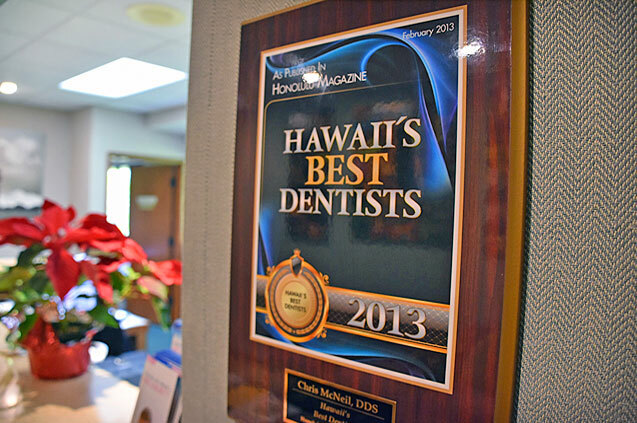 The front desk personnel working with Dr Chris McNeil will help you arrive at the best possible arrangement with your insurance carrier. What is a restoration? A dental restoration, or dental filling, is a dental restorative material used to restore the function, integrity and morphology of missing tooth structure. The structural loss typically results from external trauma or disintegration.